I’ve often sat down at my computer, willing myself to write something and it feels like nothing interesting emerges. It’s not that I don’t have ideas or something to say, it’s that I end up engaged in this internal debate about whether or not what I’m writing feels significant. Early last week, one of my beloved cats died of a heart attack in my living room. I’d known this was coming for some time, and yet, the depth of my grieving surprised me. I thought the months of meds and veterinarian opinions had prepared me. One friend said to me, “Of course you were surprised. If we knew how it would feel, we’d live in terror.” What a profound thing to say to a grieving person. I wanted to write about the grief. So I sat down with a delivery of milk and cookies my sister sent me to try and put words to my grief. Instead, I sat there and thought, wow, I got the milk and cookies. Something horrible happened and I can prove it because I got the bittersweet milk and cookies delivery. Now, I hope I never get that delivery again. But I will. Grief will strike again. And my darling, wonderful sister will come to my culinary aid again. I love her for that. Writing about the death of a cat feels trite. The grief for a departed pet is in no way trite to those who experience it but I struggled to find a way to make my experience sound significant on paper. The result was a story not about grief, nor the horribleness of dealing with the death of a pet–but a story about how others respond to someone experiencing grief and about how death brings unexpected connections. That felt significant. As writers, we want to tell stories. Usually, we have stories in our head, or experiences that we want to translate into stories because they mean something to us, to our growth as human beings, or they have given us some insight on the human condition. So we write about it. And when it lands on paper, sometimes it lacks the same power our experience held, or it doesn’t quite communicate the transformative force of the experience. I know I’m not the only one who experiences this because many writers have sat before me with a piece or writing in hand and said, “It just doesn’t feel right.” Together, we dig deeper to find the underlying theme that made their experience transformative and to find out what that writer can teach others through their own experience via their main character. This dilemma is why I’m offering our new Monthly Writer’s Room series, where we will uncover the reasons why what we write often doesn’t feel right, and how we can take an idea and turn it into something that carries significance. Each month will dive into a different theme based upon the questions that come up when I’m working privately with writers. February will be about finding the significance in your story. This first workshop of the series, which takes place on Saturday, February 21st, is called Writing Your Passion. We are going to talk about significance. We’ll spend time discovering issues that are significant to us, find out what it is about that story that carries emotional weight and significance, and then learn how to translate those issues into a relatable fictional story with a compelling theme and strong main character. Through the protagonist’s experience, we can communicate the power of our own transformative experience. March will be about finding ways to be self-accountable rather than looking outside yourself for motivation. 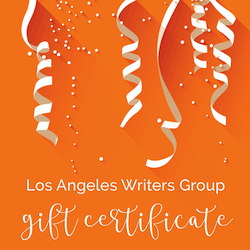 April will be about how we can tell if we are “good enough.” Many writers come to me and say, “I can’t tell if I am a good writer or not.” In this workshop, we’ll talk about the tools you need to write a story so that you will be able to judge for yourself if you’ve written to the best of your ability. May will be about how to set up your own writers group for success. So many people start writers groups only to find that members dwindle away or the meetings dissolve into a socializing event. 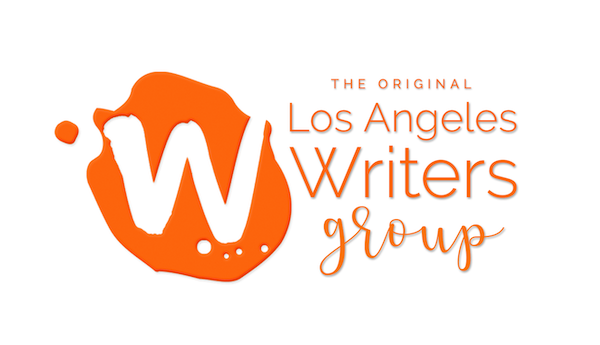 Learn more here about the Monthly Writer’s Room workshop series. I hope to see you there! If you have any suggestions on future topics you’d like us to cover in the series, free free to leave a comment here on the blog. The cookies were fantastic, by the way.